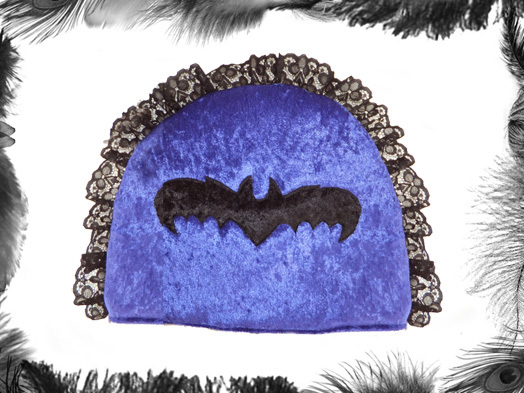 Velvet & Lace Gothic Tea Cosy. 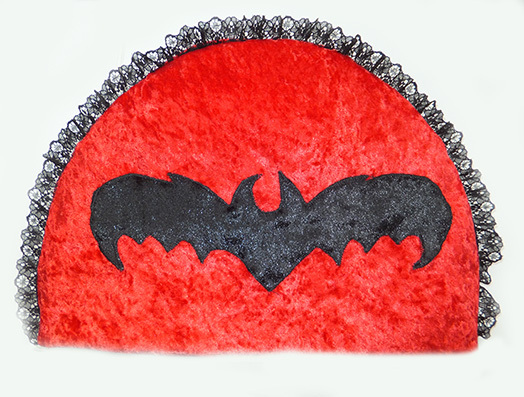 Velvet contrast bat motif on front & matching lace trim. Size: 30cm wide x 23cm height. This can be made in other sizes if required.